Relatively high sea levels at this time cut the high level marine platform of Berry Head, whilst freshwater streams carved out caves in the limestone. Several caves in the district are famous for their rich deposits of ice age and interglacial mammal bones including mammoth, straight tusked elephant, narrow nosed rhinoceros, woolly rhinoceros, hyena, cave lion, European sabre toothed tiger, cave bear, bison, hippopotamus, horse, reindeer and some human remains as well as tools dating back nearly 450,000 years. 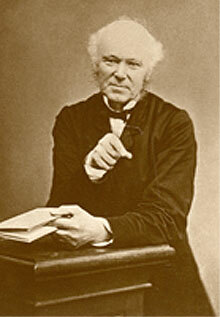 William Pengelly extensively excavated the caves between 1865 and 1880. 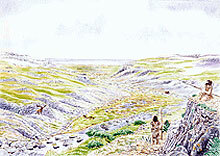 His excavation of Kent's Cavern set new standards in archaeological recording and proved that man had lived with animals that were now extinct. In the late 19th century this conclusion was not widely accepted but the detail of his work proved conclusive. On the coast raised beaches are locally well developed, formed during periods of high sea level during interglacial periods, including at Hope's Nose and Thatcher Rock, Torquay. Elsewhere, cold stage deposits include periglacial loess and head (soil and stones transported down-slope due to soil movements). Rising sea levels after the end of the last ice age drowned parts of coastal woodlands, the remains of which can occasionally be seen at low tide on certain beaches.